In this episode, you will learn about family travel and the options families have beyond Disney World, from Rainer Jenss. Rainer Jenss brings a wealth of experience and expertise as President and Founder of the Family Travel Association. Before putting his professional expertise and personal passion to the ultimate test by traveling around the world for a year with his wife and two young children in 2009, Rainer was a Vice President and thirteen-year veteran of the National Geographic Society. As Publisher of National Geographic Kids from 2002-2008, Rainer helped transform the publication into the most widely read consumer magazine for children throughout the world. Prior to National Geographic, Rainer worked for CNN International and Business Traveler International. Since returning from the yearlong trip around the world with his family in 2009, Rainer has dedicated himself to be an advocate for family travel as an essential part of every child’s education. By creating the Family Travel Association, Rainer aims to establish a collective and unified industry voice that will help change the way families travel charting a path for the future generations of travelers the industry needs to cultivate. Having traveled to over 60 countries and counting, Rainer is an authority on the subject of family travel and how it can be used as a learning tool. 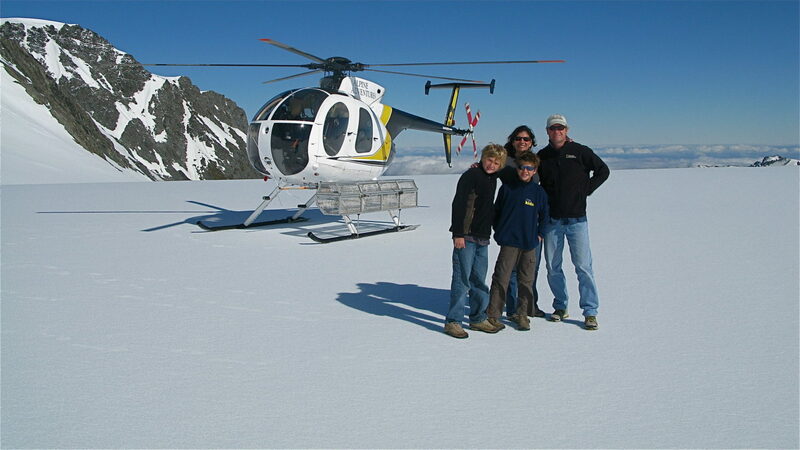 During his family’s around-the-world journey, Rainer reported for National Geographic Travelers award-winning Intelligent Travel Blog, recognized as one of the Top 25 Family Travel Blogs by Babble.com in 2011 and 2012. 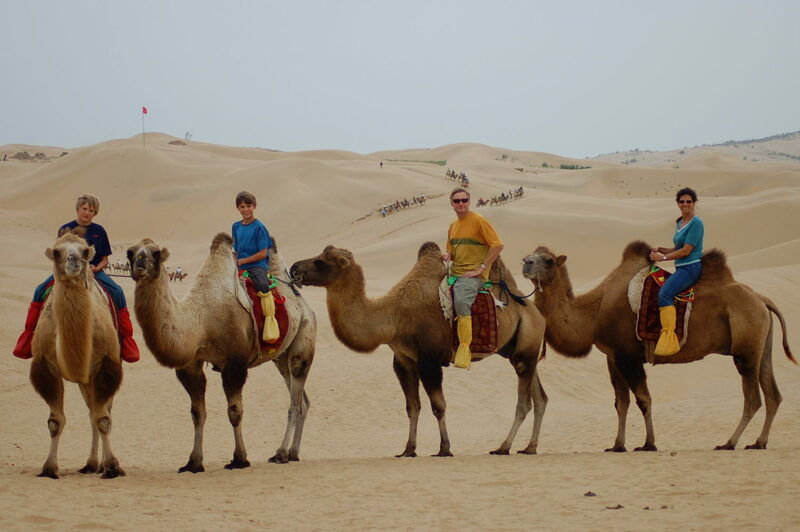 During his family’s around-the-world journey, Rainer reported for National Geographic Travels Award-Winning Intelligent Travel Blog, recognized as one of the Top 25 Family Travel Blogs by babble.com in 2011 and 2012. Thank you so much for joining me Rainer. Thank you, Nicole. Happy to be here. I am very excited for our conversation and the insights that you’re going to bring to our audience, but before we get started, can you share a little bit more about your story and your background and how you’ve gotten to where you are today? Well, I like to joke with people that having been born in Germany and having a German passport requires me to travel because we all know how much Germans love to do that. I blame my upbringing on this wanderlust that I’ve had ever since I was a little child. I’ve always looked at combining my personal interest and passion for travel with my professional career. I never really knew exactly how that would manifest, but it obviously did and it took a sharp turn in that direction when my wife and I decided to do something strictly for personal reasons. There was no professional motivation to travel around the world with our kids, but because we had the chance to fulfill that, really kind of like, lifelong interest and fantasy that we had, it really shifted my mindset, personally and professionally, to focus on trying to get more families and parents, in particular, to understand the incredible value that travel has and the benefits that it affords children. Through that personal experience, I combined it with my professional background and ultimately, led me to launch this Family Traveler Association, which has now been up and running for almost three years. It’s that old adage of do what you love and the money will follow. Well, if you stick with it long enough and persevere and sometimes you get lucky, and I’m one of those examples. That’s really awesome. I was so impressed when I was preparing for this interview, and I read the part in your bio about traveling around the world with your family. I’m the mother of four, four daughters, and we do travel a lot, but I couldn’t imagine doing it for an entire year. It sounds very exciting to me, but also, I’m sure you could offer many tips on how to survive a year traveling with children. Yes. You’re very correct in that, that just being with your family 24/7 for that length of time is an adventure in its own, never mind the places you’re visiting and things you’re doing and experiencing. What really happened as a result, and in terms of a tip that you recommend, I think firstly, one thing that I learned and that I try to share with others is the fact that you should not underestimate your kids, particularly when they’re young and specifically when they’re between the ages of, let’s say, 6 and 12. I see too many families and parents who don’t think their kids will want to eat anything but pizza and mac and cheese and some of those staples in our American diet and wouldn’t think that their children would have any interest in traveling to places that didn’t have a beach or a kid’s club or some kind amusement, but that’s really not true. Kids at a young age are innately curious about the world. They love animals, so any opportunity that you have to see wildlife with your children, jump on it because they’ll more than likely be interested. They have- their curiosity needs to be fed like anything else. If you water a little bit, it’ll really, really grow. I would urge parents not to close your mind as to what is possible for you as a family in terms of your travel experiences and really, don’t be scared to explore and go beyond those boundaries that you set for yourself because you’ll be amazed at what your kids will respond to, be engaged with, and really take interest in. It certainly exposed the fact that our children were into photography and engineering and all kinds of things that I don’t think they ever would’ve discovered had we not taken this trip. Getting your kids out there will really open their eyes, not just to the world for what they see, but there’ll be kind of an internal exploration as well in helping them discover who they are, and it’s a magnificent guest. Wow. That’s really awesome. You know, I didn’t think of it quite like that. I have always thought for my own family that travel is important, and we need to get out there and explore and feed that curiosity, absolutely, but kind of that internal reflection that might happen from it as well. I hadn’t thought of it in quite that way, and I think that’s just really, really cool point to make. Yeah, and I’ll give you one quick example. Going on a cruise. Now, there are certainly some parents and folks out there who think that there’s no real redeeming quality to going on a cruise ship with your kids. They’ve got multi-sensory entertainment and lots of stuff for kids to do and so forth, and there are those that are going to suggest that it’s not very culturally enriching or educational, but when you think about it, and I remember this when I was a child, that maybe for the first time, being on a ship will allow a child to go off and explore on their own without their parents. They meet other children, they go off and do an activity, again, without their family and parent supervision. That’s new for a child. Very often, that doesn’t happen or that situation doesn’t present itself when you’re home and busy with your daily lives. There are subtle learning opportunities that present themselves when traveling that don’t need to be academic or educational in the truer sense. They allow for children to start becoming independent and being their own selves. That’s again, something that parents don’t often relinquish too easily, but with the travel experience, it enables that to happen. Yeah. What a great benefit of travel. A side benefit, but well beyond the experience that you have when you are traveling. I think that’s really cool. Rainer, we like to focus on two areas on this podcast. One is creativity and the other is collaboration. In most of the circles that I travel in terms of travel and tourism professionals, the two things kind of go hand in hand a lot of times. I think by the very nature of your association, you’ve got an ultimate collaboration probably started in the organization that you run. I want to start a little bit on creativity. Just, in your experience and in your travels, what are some of the things that you have seen that destinations have done to maybe stand out in the crowd? What have destinations done? Well, when it comes to family travel, I love to showcase one in particular, and that’s Idaho Tourism. They had a campaign that focuses on 18 summers, suggesting that parents really only have 18 summers to spend with their kids before they go off to college and leave the nest. They don’t say anything beyond that whole 18 summers tagline. They don’t get into the detail of that, but that really, I think, sets them apart in terms of connecting emotionally with families. One thing about family travel is that it’s important on two levels. One, it’s important to families financially, as I’m sure you know, having four children, it’s an investment in any adventure, in any vacation that you take with your kids. It’s certainly important on the budgeting front. But also emotionally. Parents are, of course, highly vested in their child’s education and their success and their happiness and growth and development, so I think tapping into that idea that you’ve only got a short time to bond and grow and be with your child before they leave, I thought was a brilliant move by Idaho Tourism. I thought they were differentiating themselves not so much in what they offered in terms of physical attractions and landscapes or things to do, but that emotional connection, which I think few people have done, few tourist boards have done in their campaigns. Yeah, I think that’s a really great example. I can certainly relate to that having an 18-year-old and an 8-year-old, so I have a 10-year span between the youngest and the oldest, and I know how quickly those 18 summers can go by, so I think that’s really, really terrific. Are there other examples of creativity that maybe even in travel journalism or in your association that you can point to that you think our listeners might learn from? Well, you know, I do know a fair amount of the journalism side of things. Again, through really more happenstance than intention, I ended up becoming a blogger and specializing in family travel, which enabled me to meet and network with and become friends with a lot of other family travelers and bloggers out there. I think one of the best examples, quite frankly, I can give you on the journalism side and being really creative and innovative are couple Mike and Anne Howard who are the HoneyTrekkers, and I met them when they were planning to go on their honeymoon, and they decided that it was going to last for a hundred days. They were going to go out there and be very resourceful and frugal with their money so that they could really maximize the amount of time they could spend together on this once-in-a-lifetime trip. Well, it turns out they’ve been on their honeymoon for really the last five years. They went on a 675-day honeymoon and used their influence and their audience that they were reaching through their blog to create this entire niche and expertise in the subject that has propelled them to get book deals with National Geographic, they were featured in Microsoft commercials. They use that innovation and creativity of the brand that they were creating and the audience that they were connecting with to create this incredible new opportunity. You see that from a host of bloggers and journalists who really need to separate themselves from the pack. How do you make money doing this? That’s certainly been one of the challenges for many bloggers and journalists just breaking into the field. Mike and Anne Howard are really, I think, some of the best in the business in terms of using creativity, and they’re business savvy to create a whole series of opportunities. Wow, that’s great. A hundred-day honeymoon. Wow. I don’t know if my husband would’ve gone for a hundred days. Try 675 and … But if you ever saw some of the places where they went to, you might change your mind on that. Could you just talk a little bit more about your, I’m going to take this down a little bit of a path here, but about your organization, the Family Travel Association. Just for our listeners’ sake, who do you represent, how does it work, what are some of the things that you do for your membership. Sure. Well firstly, in terms of why we even started this enterprise and venture really stemmed from the fact that coming back from my trip, I quickly recognized that there was no authoritative leader or brand that really had any significant reach or penetration with the national consumer audience of families and parents. In other words, a resource where families could go to get information and inspiration about their travels. Yes, there are a number of websites and some terrific bloggers and journalists out there doing terrific work, but overall, nothing had been elevated to the national level to a size and scale that would attract a mainstream mass audience. Given my background in media and in publishing in particular and it being the 2010 time period where the economy was just recovering from a massive recession and media had been turned upside down, I thought the best route wouldn’t be to actually launch another website or magazine or media platform in the space, but instead using a model of the Adventure Travel and Trade Association and other industry groups that had taken a fragmented market and brought it together. I thought that this would be the best course of action around the family travel sector and specifically creating an organization whose ultimate impact and whose membership dollars would create programs that would inform and inspire parents. That could be a more effective approach to setting up a business that would have that result. We started out with 12 members back in the fall of 2014. I like to joke that we had A&K, Abercrombie & Kent, we also had KOA, Kampgrounds of America, who both serve families in very different ways. You can go camping, of course, with both, but one is in Serengeti in Africa, and the other is Savannah, Georgia, but the point is that they both serve families and they both have an interest in getting more families informed and inspired about traveling with their kids. Off we went. We first focused on bringing in suppliers and destinations. We had the cruise lines and the tour operators and hotel and resorts, and slowly started to build that pool of members. Listening to what our members wanted, we clearly understood that they wanted their stories told, they wanted to make sure our consumers understood that there were other products out there for families beyond Disney and all-inclusive and cruise lines. We started connecting them with a media center that we created, and through the media center, we have gathered now close to 90 of the countries and really, now we’re turning our sights to the world, some of the world’s best and leading experts in resources on the journalism side and on the media front. Stories have come out in national consumer publications, television, and individual blogs that can continue to elevate the story surrounding family travel and the experiences that the parents can now have with their children. Then finally, one thing that I’m excited to launch this, now really, this summer, is our whole travel agent initiative where we’re working with travel agents to help them better inform their family clients about what they can be doing with the family, the options that they have, because many travel agents don’t have the training or education either to fully understand the complexity and diversity of what family travel is. It’s been a fun journey of just learning from the industry and seeing where there’s opportunities for us to ultimately have that impact with consumers. I’m happy to say that we just eclipsed 300 members and growing strong, and we are building a community of companies who are starting to leverage each other’s expertise and accesses and resources to reach that consumer in a way where they are more informed about the choices that they have. That’s a mouthful, I know, but like any association, like any business, you adapt and you plan according to where the market demand is, and in our case, where our members’ interest is. Right. I thank you, though, for giving us that context because I think it’s important for our listeners to understand the breadth of what you do. I really like how you bring together the suppliers, the destinations, now the travel agents, the media kind of all under one umbrella, if you will. Prior to this conversation, I hadn’t really thought about how the Adventure Travel Trade Association was another type of model of an organization like yours that really helps consumers and the suppliers kind of connect. Yeah. I remember when the Adventure Travel and Trade Association launched, I was at National Geographic at the time, I had been involved with launching Adventure magazine. There was this young and fledgling organization that was looking to bring together this pretty small but growing niche of adventure travel companies and suppliers and agents, and 15 years later or so, they are thriving. They have over a thousand members. They hold conferences around the world attended by everyone and anyone who really has a stake in Adventure Travel. In no small part, because of their efforts, they’ve really grown that segment of the industry. When I considered what was happening, or better yet, what was not happening in the family travel space, and with all due respect to our friends over at Adventure Travel, on that side of the business, family travel’s the largest consumer segment of any travel niche. I don’t even like to call it niche because it represents almost a third of all leisure travel. It’s a 200 billion dollar industry, and yet no organization or effort had really been made to consolidate or bring together in any way the industry to not only help themselves grow, but as I’d been referring to, help the consumer make those decisions. One thing that’s interesting with all of this, family travel is very diverse as I mentioned earlier. A&K and KOA couldn’t be more opposite companies, but yet they do have one common denominator, and that is an interest in helping families. That is our biggest challenge in a way, because everyone looks at families maybe a little differently and their entire business isn’t always a consistent model with other members of the association, but in some ways that challenge has turned into a really interesting opportunity because we’ve been able to bring together suppliers, agents, and media who otherwise may never have even talked to each other. Interesting opportunities are starting to emerge from those new networks and channel of communication. That’s great. That’s a perfect segue because we do like to talk about, on this podcast, some challenges and how creativity comes from that. Can you go a little bit deeper on that and maybe talk about some examples of networks or relationships that might not have happened otherwise. There’s some funny stories that kind of evolved out of our first FTA Summit, which we held in Montana a little over two years ago. We really tried this experiment of bringing together 80 industry professionals, media, travel agent, suppliers, et cetera, and we all got together at a dude ranch in Montana and gave a series of TED Talk-like presentations from various people in the industry just to see what would happen, just to see what kind of ideas could germinate and relationships take hold. What appeared, at first, to be a kind of a rude comment turned out to be something that was on the minds of quite of few people in the room, meaning that, how do people get their voices heard, the smaller tour operators, those that work in Africa and other parts of the world that maybe don’t get as much print and ink and air time as Orlando or California or some of the major family travel destinations. Two years later, that person who interrupted the panel ended up being featured in The New York Times story about the work they’re doing in family travel, a feature story. That was great to see it rewarding. That’s just one small example. Another example, for example, as well as there are a lot of writers and journalists who cover travel professionally and have for many years who have never used a travel agent. You don’t even really hear or read about too much in terms of travel agents and the work the day in mainstream media. Agents are now starting to talk to writers about incorporating their work into their stories and features. Again, that’s something that you really didn’t even see just a few years ago. Just a couple of examples, but bringing these kind of like-minded individuals together with one common denominator can create some new breaking of barriers and new opportunities for many individuals. Yeah. I think those are two really great examples, actually. As you were talking, I was even thinking of my own personal experience and the role that a travel agent can play in planning a vacation. In the US, we’ve just gotten away from using travel agents because we do most things online, but when it really comes down to not knowing a destination or to use your words, needing to be inspired and informed, what better way to do that than to engage with a travel agent. I think that’s a really great point. Well, Nicole, what’s really interesting is that Americans and I think this probably true in other parts of the world, but Americans are starting to use travel agents yet again, and that’s being led by Millennials. Interestingly, and more than one research study has confirmed that millennials are twice as likely to use a travel agent as even baby boomers. Up to 40% of millennials have used a travel agent or will consider doing so, and it goes against all conventional wisdom, but the reason you’re seeing that is because all the choices and resources that they have online are overwhelming, and they like to do the research, and they like to be informed, but realize that a travel agent can kind of help with all of this noise and all of these options together and have them, meaning the agents, plan it for them. Look, millennials are used to getting things done for them, so this is one kind of outgrowth of that phenomenon, but amazingly, agents are making a pretty resounding comeback. Yeah. Well, that’s great to hear, I think. They definitely serve a really important role in the whole travel industry. They certainly can. Good luck for anyone trying to plan a family vacation for six, like you I’m sure have tried to do. Particularly to Disney. There are agents who specialize just in Disney vacation packages, and they do a great job of saving them time and a lot of hassle in trying to do things yourself because they have connections and relationships with not just Disney and the parks and some of the services but the people who they can call to make sure that you get the character breakfast and the fast passes and all of these things. Yeah, they can provide value in all sorts of areas. Absolutely. Yeah, I can, I agree with that. I need a travel agent so I’m in the market. Well, we’ll help you find a good one. 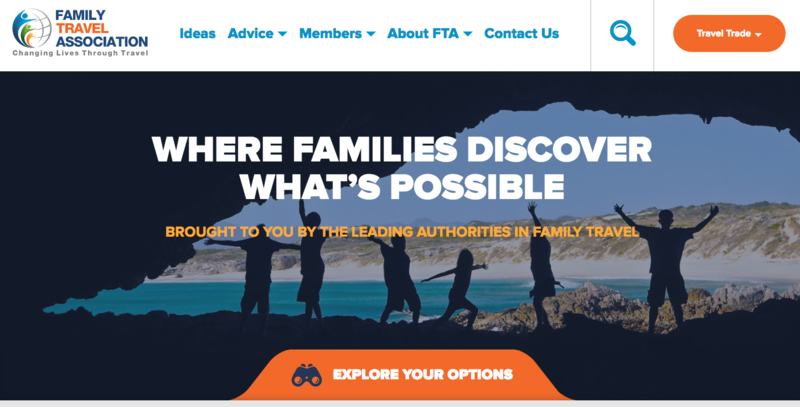 That’s something that the FTA is working on, on crediting agents that specialize in family travel. Those that join the FTA agents, that join the FTA become accredited, we will feel confident in promoting to consumers. That’s one of the things that we’ll be doing in the coming months. Rainer, looking into the future, is there a project that you’re working on that you’re particularly excited about that you’d like to share with us? Yeah, well, I mentioned the travel agent initiative, so we’re really going to be working with that segment of our membership and the industry in getting them more informed, inspired, and growing their businesses. That work is well underway. We are in the final stages of working with a media partner that will exponentially grow our ability to reach the US consumer market. This is a media company that already has had great success over in Europe. Here in the US, there is still a void to be filled in terms of a mass reach, widely recognized consumer brand that focuses specifically and solely and exclusively on family travel. We’re going to be partnering with that company in the coming weeks. That announcement should be coming very shortly. Like I said, it will exponentially grow our ability to reach consumers, which is of interest to all of our members. That will be really exciting. Then when you couple that with The New York Times Travel Show who we started to work with in terms of expanding a consumer expo to incorporate a family travel pavilion and an entire dedicated area for kids to explore and roam while their parents are actively seeking their next vacations is an important step for us to get that much closer to the consumer and that much more awareness and interest among families on the options that they have. We’ve got quite a lot going on, but expanding our consumer outreach on the media front, and that includes the launch of the first publication dedicated to family travel in this country after Travel and Leisure Family folded a few years ago. We’re really excited to get that going and to, as I’d been saying all along, to really elevate and amplify the stories that need to be heard about great family travel experiences and opportunities. That’s really great. Were you at New York Times Travel this year or is that an initiative coming? I was. I had been for the last several years. We actually had the first family travel pavilion this year, and we had some good partners in putting MSC Cruises, which, this great LEGO exhibit, which for many parents is a big relief. The kids were engaged with LEGO building for quite a while. Now, why would MSC Cruises have LEGO building? They actually have a relationship with LEGO onboard the ship, so it was a great time for them to feature at the show, but we’ll be planning to grow that whole space in ways that marketers who are focused on families can reach them in a way that’s very hands-on and interactive. Yeah, we just started that this year, and we’re continuing to grow it. We’re also partnering with Travel SMG. They are a specialty travel show company that we have partnered with, specifically for a travel agency, focus on family travel, so we’re partnering with them. That kicked off also this past year, and we’re growing that relationship. We’ll have a conference in Jamaica in December, and we’re actively working on getting more suppliers and agents to attend that show and learn more about how to sell family travel to the clients. Lots of engagement going on on that front as well. Yeah. Well, and you’re almost three years into this organization, so it does not surprise me that you have all of these initiatives happening because you’re in a growth mode, I imagine. Yeah, it’s definitely a growth mode. The dust is settling in terms of where we should set our priorities, and as I mentioned, reaching consumers on a broader and more mass scale is important, and I think we’ve found the right partner and a solution to that. It’s a lesson for any organization, but particularly, when you’re an association that mostly relies on membership dues, you need to be resourceful and partnerships are very important, so the things that you can’t build and develop on your own, find the right partner to help you accomplish that is a great solution and something as an association, we take very seriously. The things that we do on our own? Content development, research. We do have our own event. We have our summit that we continue to have after a successful launch in Montana. We’ll be on Royal Caribbean Cruise this October, Family Travel Association Summit. There are, again, things that we have the resources and the where with all the do on our own, but those that we can’t, large-scale events like The New York Times Travel Show or mass reach consumers websites, finding the right partner has been integral in helping us expand in that area. But I think now that we’ve got a kind of core priorities established, now we’re kind of hunkered down and make sure we deliver real value against each of those because believe me, you can spread yourself pretty thin very easily if you’re not careful. I think we’ve found the right balance and equilibrium until of course, the next unexpected thing. But we’ll let our members determine what that can and might be. Well, I like that you’re talking about how you leverage your partnerships. Can you talk, because that’s another thing that we do like to touch on on these conversations, can you talk about how you look for a great partner or what you look for in a partner? Yeah. As is relevant for any business, finding a partner that does something well that you don’t and vice versa I think is the key to any successful partnership. Again, in the case of consumer outreach, it would take every dollar and then major investment from, whether they’re angels or venture capitals, to create a website or magazine that would have any kind of size and scale in this market. It’s something well beyond the resources that we have. Finding a company that has committed itself financially and strategically against that is a perfect partnership. Now, what do we bring in return? We bring members who are engaged with us and have worked with us on trade and event and research programs. Now, we’re able to offer that up to our media partner in terms of establishing new potential marketing and advertising relationships, custom content projects. It’s really offering up something that the other doesn’t have and vice-versa. It’s really the foundation of any successful partnership. It’s not always easy to find, but what’s important is, as again, in any business, networking and having those conversations with people inside and outside the industry that could, somebody created an opportunity that you may not have thought about before, and that’s clearly been the case with us. Networking and being out there is the key to developing any kind of lasting partnership and, fortunately, we’ve been able to do that. Yeah, that’s great. Yeah, that good old-fashioned handshake and face-to-face relationship building. Yeah absolutely. What have you done or what do you do to set the groundwork for a partnership? Well, I think again, as in any business, I think expectations are really important. Understanding each other’s businesses and listening. It’s very often easy to get caught up in what your strategies and goals and needs are, and if you focus too much on that and don’t listen to your potential partner and understand their business and where they’re coming from, then it could be a challenge to get to where both parties need and want to be. It’s paramount to again, really understand your potential partner’s business, to listen to their needs, and to really hash out what expectations are before trying to enter into a relationship because if you don’t, as you suggest, that the foundation, if it’s not strong, chances for success are greatly minimized. It’s a very easy lesson, but you can easily lose sight of that. In this very fast-paced world, you can lose sight of those things very easily. Absolutely. There’s nothing too basic to remind ourselves of understanding, defining expectations, listening. These seem like very basic things, but you’re right in this rush-rush world that we live in right now, sometimes these things can get overlooked, so I think those are really great pieces of advice. Yeah, when you have an association, what is different about what we do than other businesses is we have members to be accountable for, and we are nothing if not our members’ interests and goals. If we don’t understand what those are and if we don’t talk to them and take the time to understand their businesses and their objectives and goals and challenges, then we’re not going to get anywhere. Associations need to do that. I may have an idea or our executive director, other’s editorial directors might have personal objectives and ideas and concepts that they want to develop, but if it’s not consistent with what our members are looking for and have interest in, then we can’t present them because that’s the nature of an association is being accountable for who you’re presenting. But so far so good on that front, I’m happy to say. Before we wrap up, I would like to hear your perspective on collaboration. We’ve talked about a lot of different collaborations, everything from the tour operator who works in multi-generational vacations that ended up in The New York Times to the work that you’re doing with travel agents and other things that have multi partners involved. I’d really be interested to hear your perspective on a collaboration, either one that you’ve been involved with or one in your travels that you’ve seen that’s been successful in this particular industry. Yeah, collaboration can be with competitors. Back in my National Geographic days, we actually partnered with Rodale, another publisher on creating an advertising supplement for a client that we both had. Now, Role and National Geographic publications were typically competitors when it came to the pharmaceutical category, and they’d be fighting for every ad dollar, but we were able, at the time, to collaborate to bring together a program that was relevant for both National Geographic and for Rodale and its products, men’s health in particular, and created this great advertising program. We were competitors, but it had all the pieces and all the elements that were relevant to an advertiser. The situation we’re in now, I wouldn’t say we’re competitors. Some say we are because associations that are after a finite set of dollars, but we’re currently collaborating with the Caribbean Tourism Organization, the CTO, on developing travel agent training programs. One of the things that we want to do since we both have interest in helping to educate travel agents is to find sponsors who could help us create materials and learning resources that would help agents learn more about family travel to the Caribbean. We’ve identified a common interest, common opportunity and are doing it collaboratively so that we both benefit. There are times, even though it seems very counterintuitive where you can join together with a “competitor” for the success of both properties. You do see this in other businesses. I think there are coalitions, for example, that have been formed among states in the United States when they market themselves overseas, that tourist boards come together. Now, out West, for example, it’s South Dakota, Iowa, North Dakota, and Wyoming, I believe, have formed a coalition to market themselves to get overseas. If you’re stronger collectively than you are individually, you go for it. Like I said, it’s okay to do that occasionally with competitors. Yeah, I agree. I think those were some very terrific examples. Actually, I love the publishing example of National Geographic and Rodale because I don’t know what’s more competitive than that industry — if they can find common ground and come together, I think almost anyone probably can, right? That deal was done a while ago, so I’m not sure how much of that is still happening, but there’s lots of precedence, there’s lots of examples of this, I’m sure. Well, Rainer, I’ve really appreciated our time and your insight. I probably could’ve spent the whole time just asking you questions and advice about how to plan family travel tips for my family, but before we sign off, is there anything else that you’d like to share with our listeners? Well, thanks again for the time. It was a fun conversation. I, too, would love to talk about helping to plan your vacations with your kids. I love doing that. But I would simply say this, that the Family Travel Association, like many associations in this industry, a collection of organizations who do have common goals, and it’s an exciting venture to be part of. Our website, familytravel.org, could give anyone who’s interested some insights into what we do and who we work with, so I encourage anyone out there to pay a visit to that, or if they want to contact me directly, I’m usually accessible and rainer@familytravel.org, and would welcome conversation and thoughts from anyone out there and look forward to hopefully meeting again down the road. That sounds fabulous. We’ll make sure we have your contact information on your show notes page as well as the link to the familytravel.org website. This has been a fantastic conversation. I really appreciate you being with me today. Thanks again. I look forward to talking to you soon.